Are you looking for inexpensive teacher appreciation gift ideas? 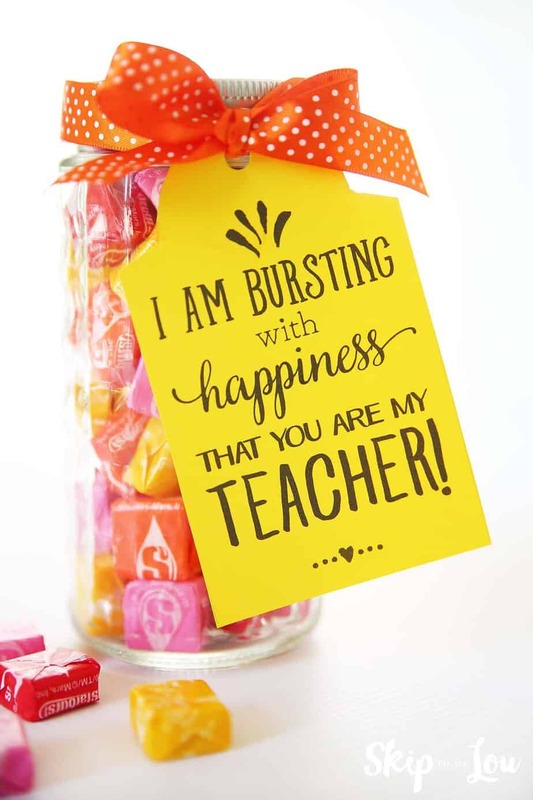 I’ve rounded up 10 thoughtful, inexpensive teacher appreciation gift ideas to show your child’s classroom teacher how appreciative you are of a job well done. Educating our children is one of the most important jobs in the world which is why I think it’s so lovely to give classroom teachers a thoughtful teacher appreciation gift at the end of the year. However, a big expensive gift isn’t necessary – it’s the thought that counts and these inexpensive teacher appreciation gifts are thoughtful but won’t break the bank. For strategies on how to boost your child’s self esteem, check out this article that shares 8 strategies from a behavior therapist. If you have a vacation planned, make sure you check out this list of the top 10 travel toys for toddlers. 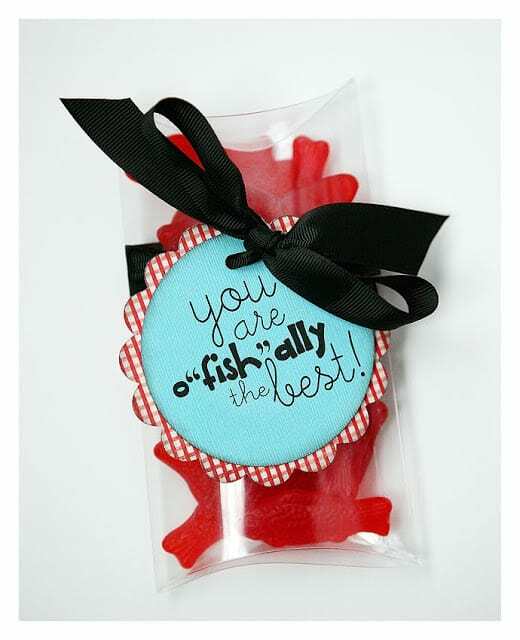 #1 – If you’re into “puns” or “cheesy” gifts then you’ll love this cheap teacher appreciation gift idea. #2 – Who doesn’t love Starburst? (Especially the pink ones!) This cute mason jar teacher appreciation gift is inexpensive and delicious. 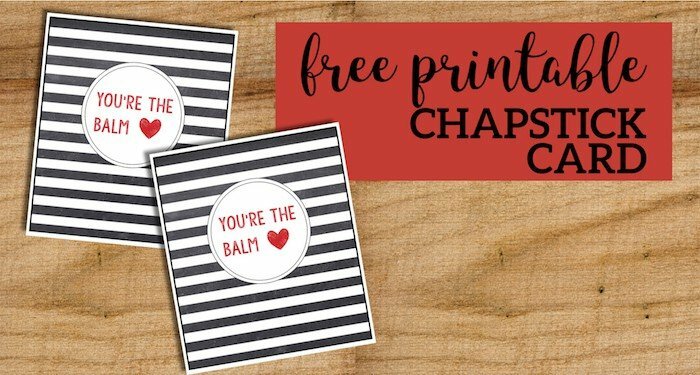 #3 – These “You’re the Balm” cards are a sweet teacher appreciation gift. Just buy a pretty lip balm and attach it to the front with washi tape. You can find the printable here. 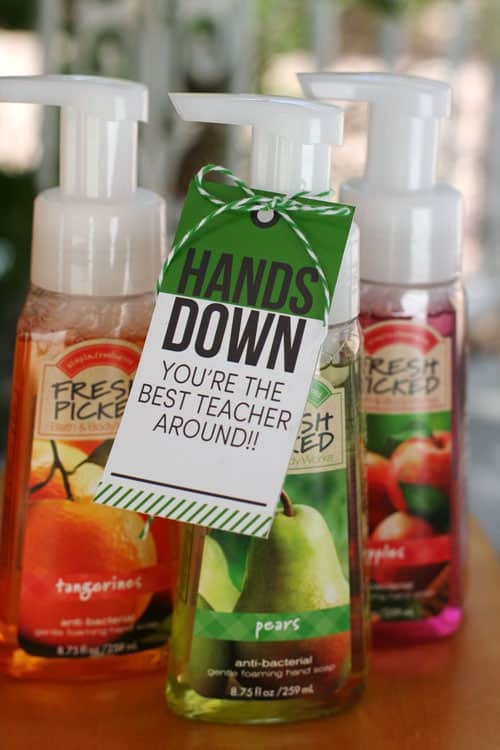 #4 – Teaching kids can be a very germy job (I know, I’ve done it 😀 ) so a gift of anti-bacterial handsoap would be welcomed by any teacher. Bath and Bodyworks often has excellent sales for their handsoap so keep an eye out for that! You can find the free printable here. #5 – A jar of highlighters is a great, practical gift for a teacher, and it’s extra thoughtful when you add this free printable to the jar. 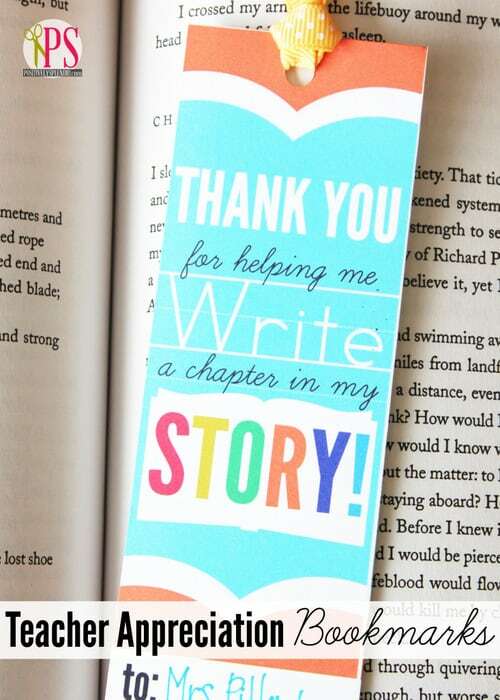 #6 – This teacher appreciation gift of a handmade bookmark is a sweet, thoughtful way to show your appreciation. You could slip it inside a book for a sweet surprise. 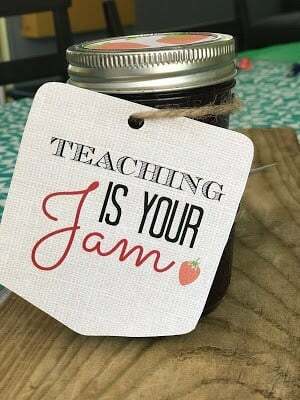 #7 – If you have an aspiring chef at home, then this sweet (no pun intended) teacher appreciation gift of homemade jam with a personalized gift tag is a tasty and thoughtful gift. 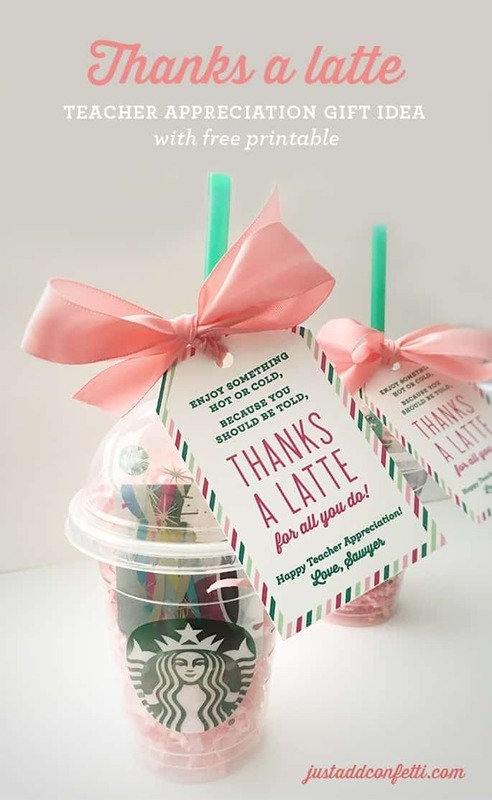 #8 – I don’t think there are many teachers that wouldn’t love receiving this “Thanks a Latte” teacher appreciation gift! Cute, easy to make, inexpensive and sure to be appreciated! 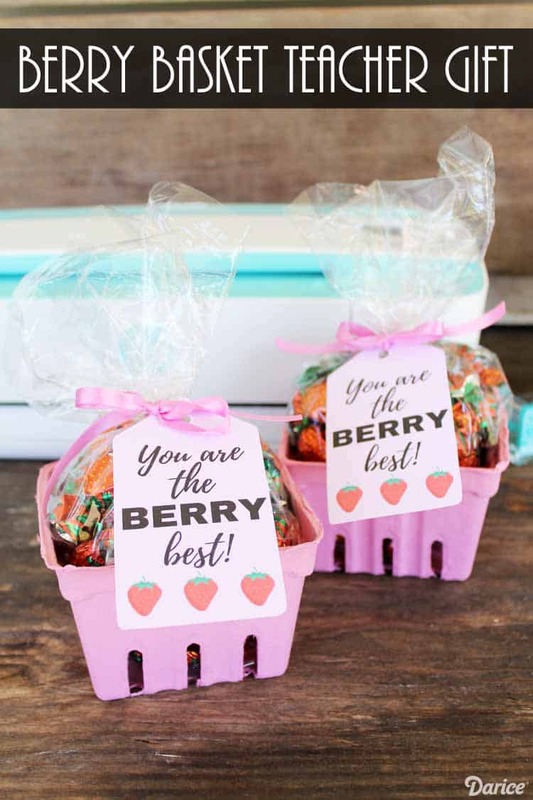 #9 – This berry basket teacher appreciation gift takes minutes to make and the berry baskets can double as a cute place to hold paperclips, staplers, etc. 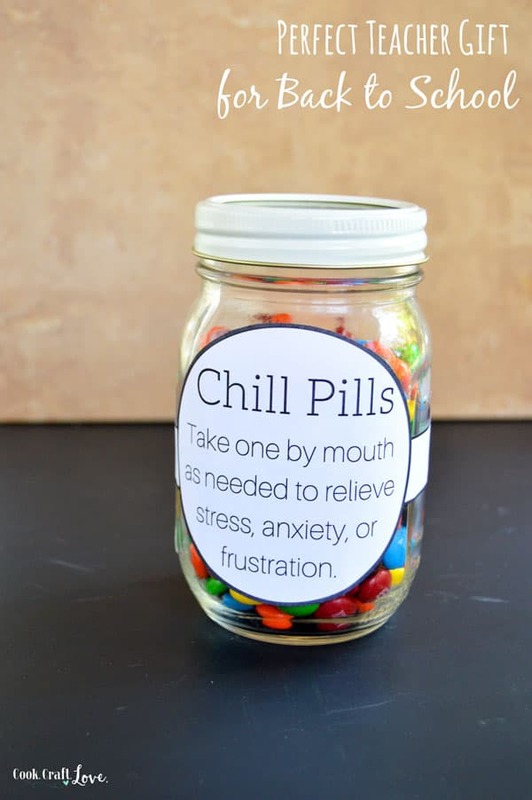 #10 – These chill pills are a simple, fun teacher appreciation gift. This would be a great idea if you had multiple teachers you want to buy gifts for as you can buy a huge bag of candy and just divide it by the jar!